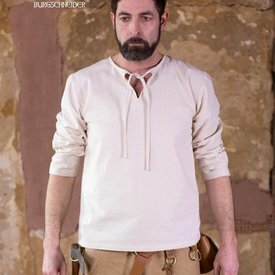 Shirts such as these were worn during the Middle Ages in all classes of society, from knight to peasant. It has two fabric laces to tie the neckline. 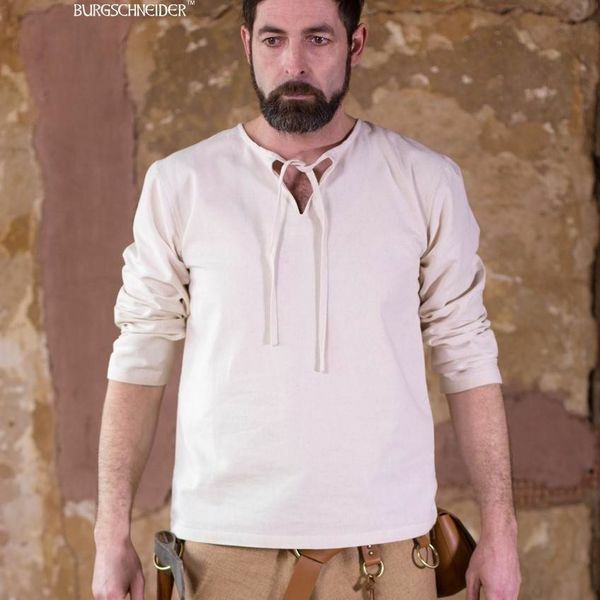 The sleeves do not have laces or buttons, so the shirt can comfortably be worn under a gambeson / hauberk. 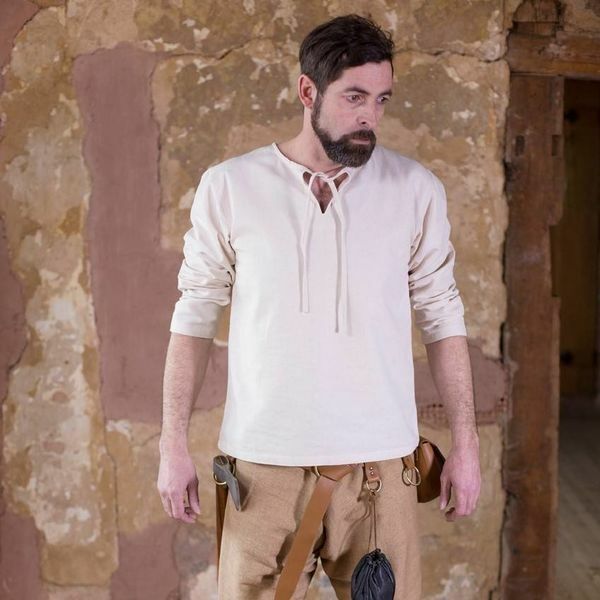 On cold days the shirt can be worn under a wool tunic or shirt for extra warmth.